You have filed your taxes! (We hope you have filed your taxes.) You have a tax refund to play with! Or you’ve just determined that you need a retirement plan other than saving for take out food. Enter the financial advisor. Financial advisors exist to help with your money. However, they also operate in a system that is designed to maximize profits, and that includes collecting any fees that you might pay. In other words, they often need to take care of themselves before they take care of you. Learn how to choose the right financial advisor in Unshakeable: Your Financial Freedom Playbook. 90% of financial advisors are just brokers. They’re paid to sell products to customers. Regardless of the title, what you really need to know is that 90% of the roughly 310,000 financial advisors in America are actually just brokers. In other words, they’re paid to sell financial products to customers like you and me in return for a fee. Why does this matter? Because brokers have a vested interest in hawking expensive products, which might include actively managed mutual funds, whole life insurance policies, variable annuities, and wrap accounts. These products typically pay them a onetime sales commission or, even better (for them), ongoing annual fees. 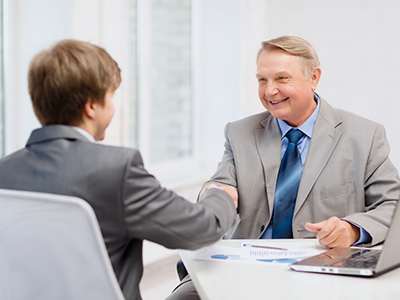 A broker at a major firm might be required to produce at least $500,000 a year in sales. So it doesn’t matter how fancy the title sounds: these are salespeople under intense pressure to generate revenues. 42% of ultrawealthy clients think their advisor is more concerned with selling products than with helping them! Check Out the Advisor’s Credentials. You need to make sure that the financial advisor, or someone on her team, has the right qualifications for the job you need done. If you’re looking for planning help, make sure the advisor has a certified financial planner (CFP) onthe team. If you’re looking for legal help, make sure there are estate planning attorneys on the team. Looking for tax advice? Make sure there are CPAs on the team. Make Sure Your Advisor Has Experience in Working with People Just Like You. Does she have the track record to prove she’s performed well for clients in your position, with your needs? For example, if your main focus is on building wealth so you can retire, you want a real expert in retirement planning. Yet in an anonymous survey, the Journal of Financial Planning found that 46% of advisors had no retirement plan of their own! Does this mean they’re dishonest? Not at all. But it does mean they’re working for the house. And remember: the house always wins. Sophisticated customers know this is standard operating procedure. These are just several invaluable tips from Tony Robbins. 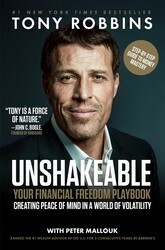 If you want more of the good stuff, you’ll have to find his new book Unshakeable: Your Financial Freedom Playbook. Please file your taxes before finding a financial advisor, at least for this year. These 10 books will help you whip your finances into shape. After interviewing fifty of the world’s greatest financial minds and penning the #1 New York Times bestseller Money: Master the Game, Tony Robbins returns with a step-by-step playbook, taking you on a journey to transform your financial life and accelerate your path to financial freedom. No matter your salary, your stage of life, or when you started, this book will provide the tools to help you achieve your financial goals more rapidly than you ever thought possible. Robbins, who has coached more than fifty million people from 100 countries, is the world’s #1 life and business strategist. In this book, he teams up with Peter Mallouk, the only man in history to be ranked the #1 financial advisor in the US for three consecutive years by Barron’s. Together they reveal how to become unshakeable—someone who can not only maintain true peace of mind in a world of immense uncertainty, economic volatility, and unprecedented change, but who can profit from the fear that immobilizes so many. Tony Robbins is a bestselling author, entrepreneur, and philanthropist. For more than thirty-seven years, millions of people have enjoyed the warmth, humor, and dynamic presentation of Mr. Robbins’s corporate and personal development events. He is the nation’s #1 life and business strategist. He’s called upon to consult and coach with some of the world’s finest athletes, entertainers, Fortune 500 CEOs, and even presidents of nations.